We all know them: Labradors, Labs or Labrador retrievers for the long version. No matter what you call them, they are one of the most familiar dog breeds around. This breed is commonly known by the color of their coats – chocolate lab, yellow lab and black lab. If you want to know everything there is to know about these lovable and intelligent dogs, our Labrador retriever breed profile is a great place to start! Among their notable achievements, labs have been named America’s most popular breed for over twenty-five years running. The sight of labs on television is just one example of how popular the breed has become. The show Lost would not have been the same without the lab actress Vincent. In fact, Madison, the dog who played the role, was so talented even the die-hard fans of the show never knew she was actually a female lab named Madison. The breed is well known as a sporting and hunting dog too. They are a favorite of hunters, who use them to fetch and carry. Fishermen and other people have learned what a great companion labs make. These dogs are also a favorite breed for families. Loving and loyal, their ability to learn tricks and eagerness to please has earned them top family dog status. This loveable breed has won over hearts around the world. No matter how you look at it, the lab is a member of families the world over. Labradors are full energy and always ready for adventure. They are a sporting breed and known for their boundless energy. If you’re looking for a well-rounded, good natured, purebred canine, look no further. Labrador retrievers need to have some space to run and play. With their gentle nature and love of fetching, the lab makes the perfect family pet. Remember: Labs have the energy to spare and like children, they need an outlet for that energy. As a companion on walks or runs, they excel at keeping up. They can become bored and develop bad habits if they do not have the opportunity to be active. If kept in a small home with little or no yard, the family should include them in as many activities as possible. It wouldn't be a Labrador retriever breed profile without talking about this breeds size. Labs are known as medium sized dogs and range from 21-inches to 24- inches tall, measuring at their shoulder. They average between 55-80lbs. Paw size when a canine is still a puppy can give some indication of the size of a dog the puppy will grow into. As is often the case, the females of the breed do not grow as tall as the males. Females will often be smaller on average, but this is not always the case. Male and female labs have sturdy legs, and can often jump medium size fences with ease. When choosing to add a Labrador retriever to your home, you’re making a long-term commitment. Most Labs will live to be between 10-14 years old. With proper nutrition and exercise to keep them healthy, they can often live longer. It is not uncommon to see labs live up to twenty years. The living conditions can also have a dramatic impact on the longevity of the Labrador retriever. There are many things that can affect the life expectancy; stress, loss of a beloved member of the family, and even abandonment can shorten their lifespan by years. Make sure to keep your dog happy in order for him to remain by your side for as long as possible. Most Labs have such distinct features that they are very quick and easy to recognize. When considering the Labrador, there are only three colors that are recognized by the Kennel Clubs as being register-able. These are Black, Yellow, and Chocolate. While there are many other colors of Labradors in existence, they will be disqualified from any show ring. The coat of a Labrador is shorter and requires less maintenance than longer haired breeds. With the denseness of the fur, they are quick to dry after a dip in the creek or another body of water. Labs can swim and most love the water. You can recognize a Lab by their clean cut head and full sized back skull. Their hanging ears usually flap over and are sensitive. One of the most recognizable features of a lab is their eyes. The trust and love you see in those soft depths is a blessing, and they should be treasured as they deserve. Gazing into the eyes of a Labrador can be described as penetrating, loving, and intelligent. Once you gaze into a Labrador retriever’s eyes, you will know that they are a family dog. They have a strong instinct just to be part of the pack, that means family. Their love will shine through everything they do. Labs can make you feel better when you are feeling sad. They will want to be included in any and all family outings. When just playing at the house, they will need to be surrounded by their family. Playing with them keeps them active and happy. Try throwing a stick in a lake or a big pond and watch them jump into the water to retrieve the stick. Labs typically love to play fetch and enjoy a great game of tug too. Labs can be a bit too rambunctious for small children, but they'll be a great friend for older kids. A Labrador retriever breed profile wouldn't be complete without discussing the breeds distinctive facial features. They have a thick nose, broad muzzle, powerful jaws, and a strong neck. It goes well with their muscular body. Labs are covered in a double coat. The first coat is their undercoat, a soft downy hair that insulates them and keeps them warm in the winter and when in the frigid water. Their second coat is made of short, water-resistant fur, allowing the water just to run and drip off of them – not bogging them down when they swim. Because of this double coat, labs require more grooming than most short haired breeds. Make sure to brush their fur often, as this will make them happy and much more comfortable. Brushing a labs fur will also keep their coat shiny and tangle free and keep the amount of shedding down in your house. The tail is another unique feature that needs to be addressed in a Labrador Retriever breed profile, because it is a straight “otter-like” tail. It is covered in a coat just like the rest of their body, making their tail whip-like if you ever get hit by it during their excitement to see you. Their tails can even knock you down if you are not expecting it. As with any dog, a lab wears his feelings on his tail. If he is happy, his tail will wag. If he is sad, then his tail will sag. Make sure to keep your lab happy. The last telling physical feature of a Labrador is their feet. If you look between their toes, you will notice that there is a membrane of flesh that connects the toes making them webbed. This aids the dog in propelling himself while swimming. Make sure to keep a lab's nails trimmed to prevent any problems with his feet. Although Labrador retrievers can be raised in an apartment, they require a lot of space to run and play. Small apartments would not be a good environment for a dog the size of a Labrador. A lab that is fenced in can become bored and will likely become destructive. Because of this, it is better to allow them to roam, romp and play to their heart’s content. Labs will thrive best when living in the suburbs or even the country where they have a big backyard and lots of room to explore and play. They are fantastic dogs if you’re single, have a young family, or are getting into your golden years and want a companion. A Labrador Retriever will grow with you and your family for many years of enjoyment and companionship. Whether you’re looking for a friendly companion or a working dog to take out hunting or fishing or even for walks, the Labrador retriever is willing, ready, and happy to wear all of these hats. He’ll go out with you for your morning walk, curl up while you read your newspaper, play with the kids when they get home from school, and go out and retrieve your kills from hunting. A lab can even bring in the fishing nets for a fisherman. These dogs are hard workers and just want to please you and be part of the family. Registrations for Labrador Retrievers are constantly pouring in, and the American Kennel Club registers more than 100,000 new Labradors each year. This number doesn’t even begin to come close to how many are registered all over the world. Each and every year that passes organizations that register dogs see more and more Labrador retrievers. Because it is one of the most common, the Labrador is also among the most abandoned breed of dog in the world. People get busy and forget that Labradors are active, sporting dogs. When they grow bored, they develop destructive behavior that often leads them to be taken to shelters where 98% of them are killed after three days. We're not done with our Labrador retriever breed profile just yet. These dogs have many characteristics, and all of them are good if you’re looking for a well-rounded family-friendly dog. We've already discussed that they are stable, good-natured and hard-working. They are always seeking to help their pack (family) and just want to please you. Labs will stick by your side no matter what. RELATED READ: Do Your Kids Know How to Be Around Dogs? A Labradors patience is outstanding for either learning new tricks, being taught obedience, or even having young children play on or around them. Their good nature makes them great companions for couples with small children. They are very loyal to people they consider to be family. Labrador Retrievers are a social dog. They want to be a member of the family, so they do not do well with long periods of isolation. They want to be wherever their family is and will not enjoy being outside on their own for extended periods of time. If left unattended for long periods, you may find that a lab can rival Houdini in how they can escape to go exploring. They have a natural curiosity and willingness to learn, so they will explore and learn what they can. Your dog should have their tags on at all times, and even having them microchipped is recommended. This will help other people identify your dog and give them the ability to call you should your dog become lost. A lab may also become destructive if left alone for too long. If board, it's likely that a lab will find his own entertainment. This may mean chewing up your belongings or tearing a hole in the wall. Destructive behavior like this can usually be prevented with interaction and lots of exercise. Labs love their dog food, or any kind of food. If it’s within nose reach, it may disappear very quickly. Having a measured amount of food available to them can keep them trim, so with proper meals and exercise your dog can stay fit, trim and healthy. Just make sure not to feed them table scraps. If you get into the habit of that, your Lab will expect you to do that every time. Many different brands of dog food will have specially formulated food for your breed. Look for food that is high in protein and low in fillers. Picking the best food for Labs is important if you want to optimize their health and cater to Labrador's specific needs. Focusing on good dog food with healthy ingredients should be the main focus of every owner with a Labrador Retriever at home. Labrador Retrievers are known mostly for their ability and joy in retrieving items; balls, fishing nets, toys, and even a downed bird while hunting. Obviously, this is where their name comes from. These dogs were bred to retrieve objects. They enjoy a good round of catch and will even retrieve rocks, should you throw them. Any job you can think of that requires intelligence and determination is a great job for a Labrador Retriever. In this Labrador retriever breed profile you've already learned that labs are commonly used for hunting and other canine sports. These dogs are hardworking and enjoy having a job. They are great partners for hunters, fisherman and search and rescue workers. Labs also enjoy being therapy dogs, eye-seeing dogs and drug finding dogs. Labs can be a game changer for weight loss. Everyone needs that special push when it is hard to put on the sneakers and go for a run. Or even just going to the park and playing fetch. Being active is something that labs have to offer their family. Nothing will motivate you more than your canine companion whining at the door to go outside and burn some energy. Labrador Retrievers are known for their level of activity and their love of water. If there’s a body of water, no matter how small or big, you will find your lab trying to play in it. It may not even be a body of water big enough for swimming either. They will even enjoy playing in the mud puddle left over from the rain. With their waterproof coat, water will slick off of a Labrador. This also works for when they roll in the dirt or mud. Some of the dirt will sink down into their coat, but you'll be able to wipe the majority right off. We couldn't write a Labrador retriever breed profile without mentioning their love for food. Labs known for their appetites. They will and do eat anything and everything in sight, even if it’s not food. They are counter surfers and scroungers. If there is food within the range of their nose, they will get it and eat it. Veterinarians around the world have removed lots of items from the digestive systems of Labrador retrievers. They have found some weird things in there such as hand towels, toys, and even Christmas decorations. These non-food items cause intestinal blockage and if not removed can lead to the death of your dog. The best cure for this is to keep your dog under supervision, fed properly and supervised, so they don’t get into trouble with unsafe items when they become bored. Keep their diet strictly to dog food. Also, make sure not to feed them food from the table, because then they will try to eat your food before you do. What Labrador Retrievers are not known for is being a guard dog. Their friendly nature is more prone to walking up to a stranger wagging their tail and looking for a pat instead of being aggressive and scaring them off. If this is what you’re looking for, then you’re looking in the wrong direction. However, they will bark at unusual noises. In the 1800’s the Labrador retriever, although at that time was not known by this name, originated from Newfoundland, Canada. At the time, fishermen would use two breeds of dogs to help them in their day to day work. The Newfoundland dog, also known as the St. John’s Newfoundland, which is a large breed dog who also has a waterproof coat, and the lesser Newfoundland, which are now called Labrador retrievers. Unfortunately, the breed died out in Canada for a time. Labrador Retrievers were bred to haul nets, retrieve ropes and gather fish in the Atlantic Ocean. Where they originated from before Canada, no one is certain. Experts believe that they could be the descendants of some dogs that came from Portuguese fishermen who would fish the banks of Newfoundland and Labrador. These dogs were known as “Cani Di Castro Laboreiro.” Much the same as the dogs in the 1800’s, they would help the fishermen by bringing in the nets full of fish, retrieving lines that were out in the water and delivering messages between boats. Later on, in the 1800’s some visitors from England were so smitten with these hard-working and lovable dogs that they transported some back to England with them. The Earl of Malmesbury became so besotted with the breed that he took several home for himself to begin breeding. He would use the dogs when he went hunting in the swamplands that surrounded his estates. Labrador retrievers were re-introduced back into North America in the 20th century. The American sportsmen enjoyed their ability to be adaptable and flexible. In 1903, The England Kennel Club named the breed to be an official breed of their club. In 1917, The American Kennel Club recognized and certified the Labrador Retriever. In 1991, they became the most popular breed in America and continue to stay the most popular breed to this day. In 1997, a chocolate lab by the name of Buddy became the first Labrador retriever to call the white house his home. As previously mentioned in this Labrador retriever breed profile, these dogs typically have a very mellow temperament. A lab gets a lot of his personality and temperament traits from his parents and how they were bred. 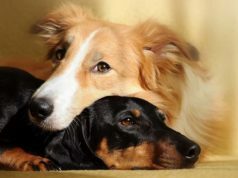 What dogs are bred together, depending on their temperaments, and how they are socialized when they are first born has a lot to do with how they will develop later on in their adult life. Make sure that you find a reputable breeder, who knows what they are doing when it comes to breeding. DO NOT get your puppy from a puppy mill or pet store, because you don’t know how the pup has been treated. Feeling bad for dogs like this is not a reason to adopt one. They will likely end up with behavior issues and medical conditions somewhere down the road due to improper breeding. Try and find a breeder who breeds a specific type of lab. If you want a lab who is agile, then find a breeder who specializes in labs with strength in agility. If you want a lab who is bred to retrieve things, find a breeder who specializes in that type of lab. Always pick out a breeder who specializes in the particular type of Labrador retriever that you want to join your family. Most Labrador Retrievers will have a lot of the same characteristics. These include being well-rounded, good-natured, kind, outgoing, eager to please, and their love of all things human and animal. These dogs are ideal for active families since they consider themselves part of the family and want to be involved in everything. They are perfect for taking out on walking and hiking trails. Some personality traits can be bred into these dogs. A lot of this depends on what the parents and even the grandparents did. If they were bred to be active trackers or retrievers, a lot of those traits will be transferred into the pups. If the parents are bred as companion dogs, then their pups may not be as ideal for agility competitors as a puppy who comes from parents who compete in agility. Labs who are breed to exercise regularly will not be suited to those who want a dog to lounge around with them all day long. Where as a breeder who is more laid back will breed dogs that are more content to lay back and relax. Although, excessive energy is a trait of most labs, so they will likely still be excited to get out and go for that walk, run, or even to just play fetch. Labs, like most medium to big dogs, will go through what seems like forever in their puppy stage, but once they reach 2-3 years, they will begin to mellow out more and more. They will be more apt to lounge with you as long as their energy has been spent. During their puppy stage, most Labrador retrievers are destructive and hyper, but they are also patient enough that if you work with them, they are very trainable. No matter how old your Labrador retriever is, he will still get bored easily. This is when he may become destructive or inquisitive and will explore, as mentioned earlier in this Labrador retriever breed profile. If given the opportunity, your lab may wander the neighborhood to check out new smells or to see if there are any treats to be handed out. Make sure that he has a collar with ID tags on or even has a micro chip implanted to let everyone know where your dog belongs. With their non-aggressive behavior, they are welcomed by most humans and even other animals when they go out to visit, but you don't want him getting lost. The way to keep your dog home and non-destructive is to keep him well exercised and mentally stimulated. Find ways to keep him entertained. If he can get what he needs from home, he won’t try to wander. As a general rule, Labrador retrievers are a healthy lot, but there are three main health issues that you should be aware of. If you purchase your dog from a responsible breeder, your puppy has probably already been pre-screened for these conditions. If not, you should have the dog checked out by your veterinarian. The three main health issues to note in a Labrador retriever breed profile are hip dysplasia, elbow dysplasia, and retinal atrophy (or cataracts). Make sure to ask in regards to the health certificates for these three issues before acquiring your new dog. The Labrador Retriever Club requires hip and elbow certifications from the Orthopedic Foundation for Animals (OAF) and a checkup at the Canine Eye Registry Foundation (CERF) before a lab can be entered into the Canine Health Information Center (CHIC). Look for these certificates when looking for a puppy from a reputable breeder. The next main health issue that plagues Labrador retrieves is obesity. Sadly, this is common in almost every breed now-a-days. Recent statistics show that more than 50% of the domesticated dogs in the U.S. are overweight or obese. This condition is most common in middle-aged and older labs. Since they have such a love for food, this can easily happen. Keeping your lab well exercised and on a moderate diet will help to keep him healthy and at a proper weight. Keeping your lab at an appropriate weight has been known to add two extra years to your dog’s life. An obese Labrador retriever is more likely to be stricken with other health and joint issues. Since their weight puts a strain on their body, they are prone to heart disease, osteochondrosis (orthopedic problems) and diabetes. Other common ailments include epilepsy, allergic skin disease, ear infections, and even cancer. Cancer can be very common in this breed, especially once they reach middle-age or older. Although, it is not unheard of to be in puppies. Just like any athlete, Labrador retrievers are prone to athletic injuries such as anterior cruciate ligament (ALC) tears. They can also have an exercise-induced collapse caused by muscle abnormalities. This will cause a decrease in the dog's strength, stamina and movement. This Labrador retriever breed profile has explained that labs have a double coat consisting of a soft, insulating undercoat and a top coat which is short with course hair to help protect their skin. Thanks to this double coat, labs require more grooming than most short haired breeds. One thing that definitely needs to be noted is that Labradors are heavy shedders. You should brush them 1-2 times per week and even more often during the change of the season. This will help to keep the hair off of your clothes, furniture, and floor. When brushing out your Labrador retriever, you should use a rubber curry brush, a metal shedding blade or a wire slicker. After your dog is done playing in the water, dirt or mud, wash him down to remove any left behind particles, which can get embedded in the coat and cause skin irritation. This is another good time to run a brush through your dog's coat to get out the grains of sand that can cause sores on his body. After their swim, you’ll want to check for moisture in your lab’s ears. Since their ears hang down, there is no chance for them to air dry properly. This can cause ear infections in your Labrador retriever. If you are having issues with your dog's ears or he suffers from regular ear infections, talk to your veterinarian about using an ear cleaner. Nails should be trimmed every two weeks, or as needed. Depending on where your dog is running or being active, his nails can wear themselves down. Nails should never be long enough that you hear them click as your pet walks through your house. This can cause issues for your dog when he walks. If you let his claws get too long, they will start to curl and embed themselves into your dog's foot. This will cause swelling and will make it very painful for your dog to walk. Long nails also have the potential of getting caught and tearing off, causing extreme pain and a trip to the vet. Brushing your lab's teeth regularly can maintain good oral health. Allowing him to chew on bones, raw hides, antlers and specific dental hygiene dog treats and chews will also help to maintain his oral health. Staying busy with bones and chews can also help prevent your dog from chewing on your furniture or other belongings. Labrador Retrievers enjoy being outdoors and having their brain and senses stimulated. They also have an excessive amount of patience, so they are easy to train as long as you work with them and keep them stimulated. They also require consistency when you are training them. This will help them through their puppy stage and teach them what they can and cannot do. Training will help your dog be more obedient. There are many activities that your Labrador Retriever will enjoy. As long as they are part of the family, they’ll enjoy every minute of it. But if you really want to treat them, take them to the water and let them enjoy some water sports, whether that is just retrieving the ball that you throw in the lake, take them swimming, or even boating. If you are more adventurous, you can even try taking them out on a surfboard with you. Other activities that they will enjoy include hunting, jogging, hiking, long walks, or just throwing the ball in the back yard. Exercising your dog a couple of times a day will help to keep their energy level down and to make them a pleasure when in your home. It will also help to keep their destructive tendencies down. If you’re up for something a bit different than the regular activities then give these a try; agility training, tracking, and flyball are all a bit harder to do so they will stimulate your dog even more. Keep your Lab well exercised. When he is left on his own and with all of his energy, he will find his own ways to entertain himself, which may include chewing holes through walls and eating your furniture. So a well exercised and happy Lab will be your best friend and great companion whereas an isolated and cooped up lab may become a bane to your existence. And how often do you want to remodel your home? How are Labrador Retrievers with Children? Middle-aged and older Labrador Retrievers are perfect for children of all ages, with their endless amount of patience they will be up for the abuse your kids put them through. But as with all dogs, make sure your children are taught how to play with your dog and monitor and supervisor their play. A Labrador puppy is great for older children to learn responsibility but they may be too much for babies since they, themselves are young and hyper. If you do have a puppy and small children, make sure you are giving constant supervision, so both baby and puppy learn to play with each other. Where to Adopt a Labrador Retriever? There are three different ways to acquire your new Labrador Retriever. You can go through a Breeder, an adoption shelter, or through rescue sites. Lab puppies can usually be bought for between $700-$1500. When researching the puppies, you want to make sure that their parents are well taken care of, have their papers and documents, and are in complete health. Research where the puppies are being raised, that their area is clean and that they are being treated properly, so they have a good temperament. Having a place where they socialize with other dogs, puppies and humans will help to give them a well-rounded start. You’ll want them to have been tested for worms and a health check before picking them up. Look for a health check on the parents to help protect yourself from sick puppies. In order to get a CHIC number, Breeders only need to go through the testing. Pass or fail, they will get a number. Do not go by a number to prove that the dogs are healthy. Test results can be found on their website. Expect good Breeders to ask you lots of questions as well. They should be looking for the best possible placement for their pups, so they’ll want to make sure that the puppy will fit in with your family and your living conditions as well. There should be a two way conversation before adopting your new puppy. The Labrador Retriever Club, Inc. offers information as well as breeder and rescue referral for the heavy-set Labradors preferred by show breeders in the United States and the United Kingdom. The site also offers literary articles about the breed. It gives you current, national specialty and health news about the breed as well. The National Labrador Retriever Club also offers the same information and referrals for the middle-weight show-type Labradors preferred in most other countries. The site has a code of ethics that it adheres to for the defense and conservation of the breed, to inspire teaching of the overall community who may want to add a Labrador to their family, and to meet a communal accountability to its members, the general public, and the Labrador community in particular. 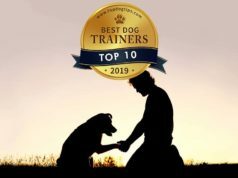 The Retriever Training Forum offers breeder classifieds about the leaner, field-type Labradors who are best suited to more athletic endeavors. The site has ads that deal with all things hunting as well as other retriever sites that you can go to for more information. Look for a Breeder, who will give you a written contract saying that at any time you are unable to care for the dog; they will take the dog back. 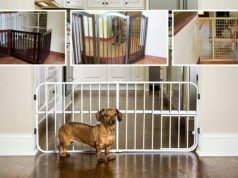 This way they can place your dog in their new forever home. Look for Breeders that keep their dogs active and in the field. Show dogs and agility show dogs are perfect for this. They are kept very active which will relieve a lot of the genetic health issues, and if they are active and in shows, then they are usually of a healthier stock. Stay away from puppy mills, those who are just looking for a paycheck and not the well-being of the dog. Things to watch out for and to stay away from are Multiple litters being available at one time. Being able to choose your new puppy without having a personality conversation, not talking about the health of the parents or grandparents or having their health certified. Ask your Vet for recommendations for reputable breeders. Before buying your new puppy, check your life and see if an adult dog might not be better, you can find many great adult dogs through breed rescue services and shelters. New puppies are a lot of work and take up a lot of time to train. Adult dogs can have their own issues, but many are just due to situations and just need a new loving home to go to. With adult dogs, you will be able to see their temperament, their personality, and it is also easier to see if there are any health issues at that time. It is easier to find out what ailments are prominent in that dog. Labrador Club of America has a rescue network. A lot of what you should ask a breeder you should also ask the shelter or rescue organizations. How are they around other animals? How are they responding to the humans that come in and out of the shelter? How are they around children, especially if you have a young family? Are they already house trained? Have they ever bitten or been aggressive towards humans or other animals? Make sure you know and understand your rights when adopting a puppy or dog. There are rights on both sides, the seller and buyer, make sure you do your research on the breeder and keep an eye out for any of those red flags. Take your new dog to a vet soon after you get it to have a full over checkup done. This is to look for any issues that can be seen. Your vet can help you with a preventive plan to keep your new dog healthy and have a long and happy life. Most litters will typically produce 6 to 8 puppies. You should keep the puppies till they are about eight weeks old, this gives the puppies a chance to learn how to be more mature. Learning a lot of their habits from their mother (their first trainer). This will also allow you to do all of the health checks and test out their personalities, allowing each puppy to go to the right home. There are three distinct personalities of the Lab. The English-type Lab, who is more laid back and relaxed. The American Bench, who is more strong willed and needs an owner who is also strong willed to be the Alpha. Then there is the Field Trial Type, this personality is your workhorse, he needs to be out working and retrieving. The Labrador Retriever is an excellent companion, sporting, and family dog. Check out your local shelter and you will find huge numbers of them eager to be part of your family.